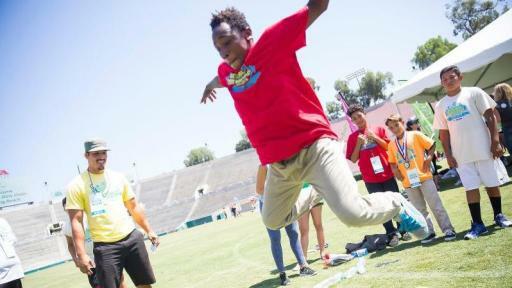 On August 4th, the Rose Bowl Stadium roared as more than 200 area youth gathered for the National Fitness Competition’s “Gold Medal Games.” Additionally, more than 300 Clubs and tens of thousands of kids and teens participated in National Fitness Competition events around the country. 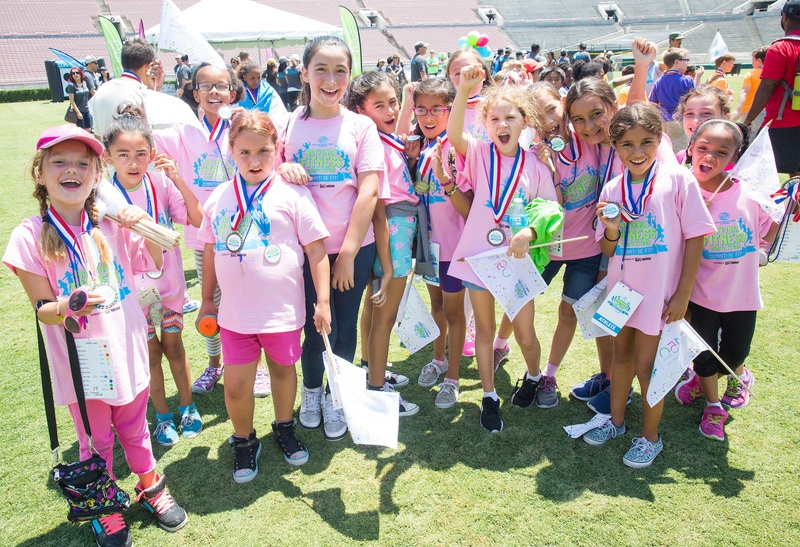 Hosted by Boys & Girls Clubs of America and Nestlé, the National Fitness Competition is designed to inspire kids and teens to achieve tangible and short-term fitness goals. 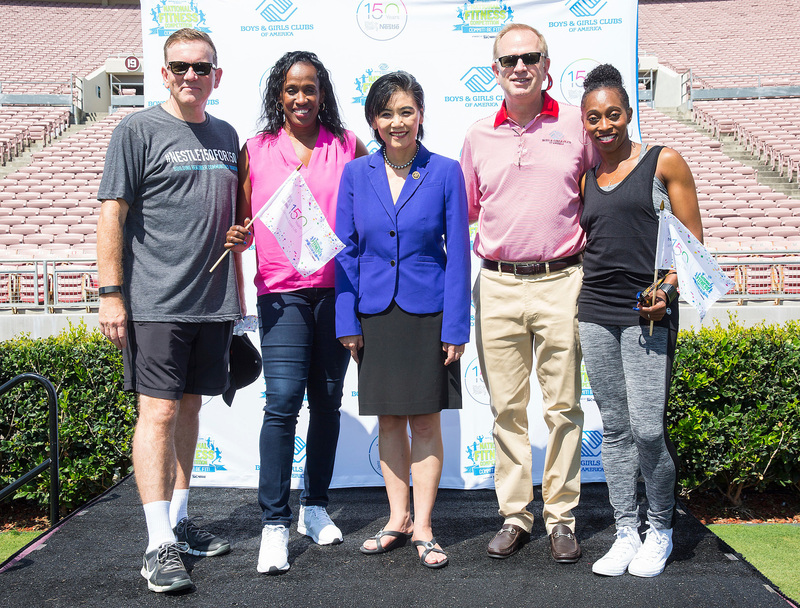 Track and Field Olympic Champions and Club alumna, Jackie Joyner-Kersee and longtime supporter, Gail Devers added to the excitement of the event by joining the festivities and sharing their fitness journeys. Through their stories, Joyner-Kersee and Devers inspired the crowd to stay focused on their goals and never give up on their dreams. 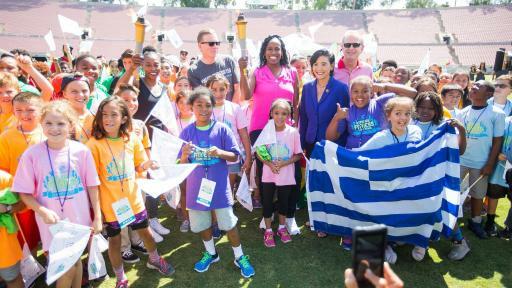 From soccer to archery the two Olympians joined the youth in the event’s physical activities and challenges. 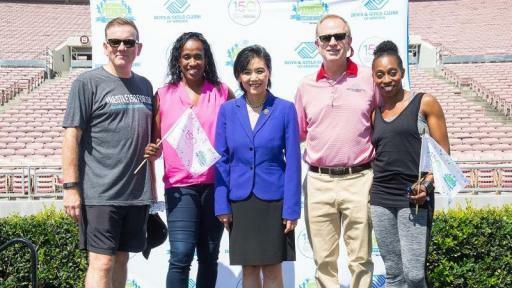 As part of a three-year partnership, Boys & Girls Clubs of America and Nestlé are encouraging a competitive spirit among the nation’s youth by hosting fitness competitions for kids and teen members that offer various level of vigor to help each individual meet or exceed their goals. 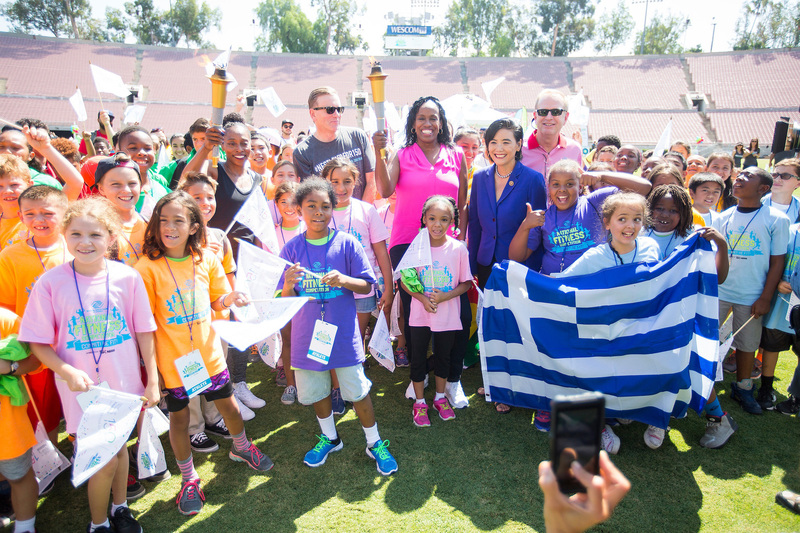 In addition, the program educates today’s young people on the importance of daily physical activity and a balanced nutritional diet. 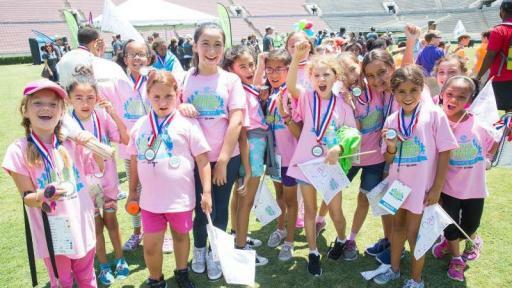 By the program’s third year in 2017, the National Fitness Competition is expected to reach 500 Clubs, engaging a total of 50,000 young people. On August 4, Nestlé celebrated its 150th anniversary by bringing ‘Good Food, Good Life’ to the communities where it operates with its largest single day of volunteering. #Nestlé150for150 brought more than 6,000 employee volunteers to more than 150 community events across the country for a day dedicated to service. At Nestlé, we believe that for our business to prosper in the long term, we must create value for our employees, customers, stakeholders, consumers and the communities where we live and work. Nestlé embeds Creating Shared Value into every part of its business, from nutrition and wellness to environmental sustainability and responsible sourcing. For more information, visit: http://www.nestleusa.com/creating-shared-value. 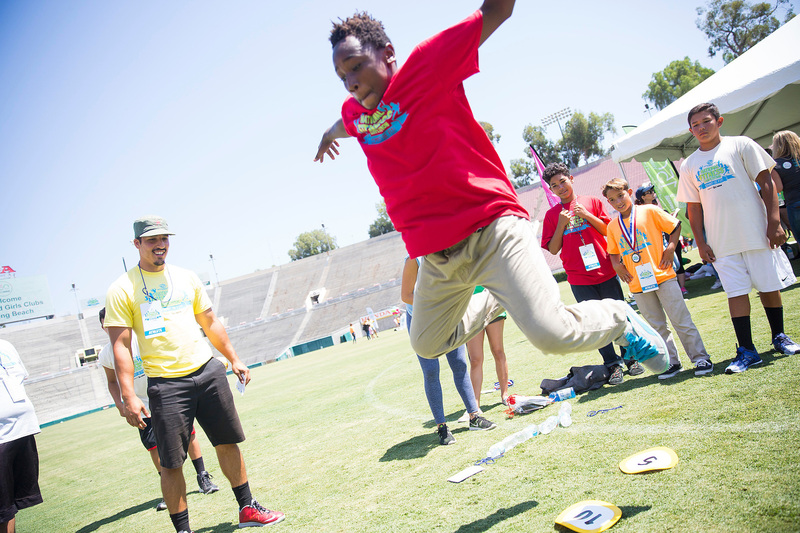 For more than 100 years, Boys & Girls Clubs of America (www.GreatFutures.org) has enabled young people most in need to achieve great futures as productive, caring, responsible citizens. Today, more than 4,100 Clubs serve nearly 4 million young people annually through Club membership and community outreach. Clubs are located in cities, towns, public housing and on Native lands throughout the country, and serve military families in Boys & Girls Clubs of America-affiliated Youth Centers on U.S. military installations worldwide. They provide a safe place, caring adult mentors, fun, friendship, and high-impact youth development programs on a daily basis during critical non-school hours. Priority programs emphasize academic success, good character and citizenship, and healthy lifestyles. In a Harris Survey of alumni, 54 percent said the Club saved their lives.